Bollywood diva Rani Mukerji has got back to action and has already started shooting for the upcoming film Mardaani 2. The film Mardaani released in 2014 and showed a power-packed performance from the actress which was appreciated by the audience as well as the critics. 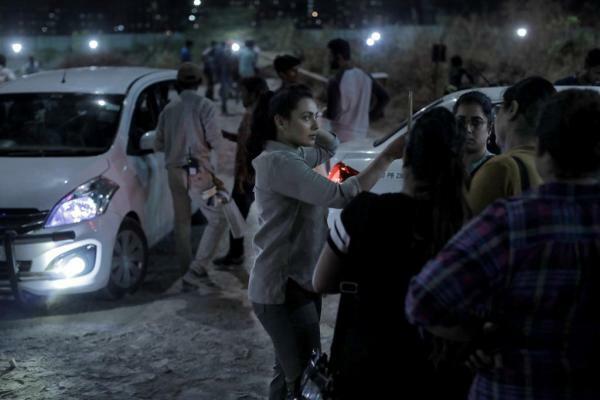 The Kuch Kuch Hota Hai actress was snapped in action while on the sets of Mardaani 2 on April 10, 2019. Rani was shooting for a scene in which her character is all set to do an investigation. The actress looked strong and confident and it seems like she is once again ready to entertain the audience with her acting skills. Rani will be seen playing the role of Shivani Shivaji Roy, Superintendent of Police. The sequel will see the Badal actress fight against a 21 year old merciless villain. The film is directed by Gopi Puthran, who was the writer of the first film and is produced by Aditya Chopra. Rani had in an earlier interview talked about her character in the film had had then said that her character Shivani will face a merciless villain, who does not have any empathy or fear for God. Mardaani 2 is expected to be released in 2019 and the fans cannot wait to see Rani once again in action as a cop.